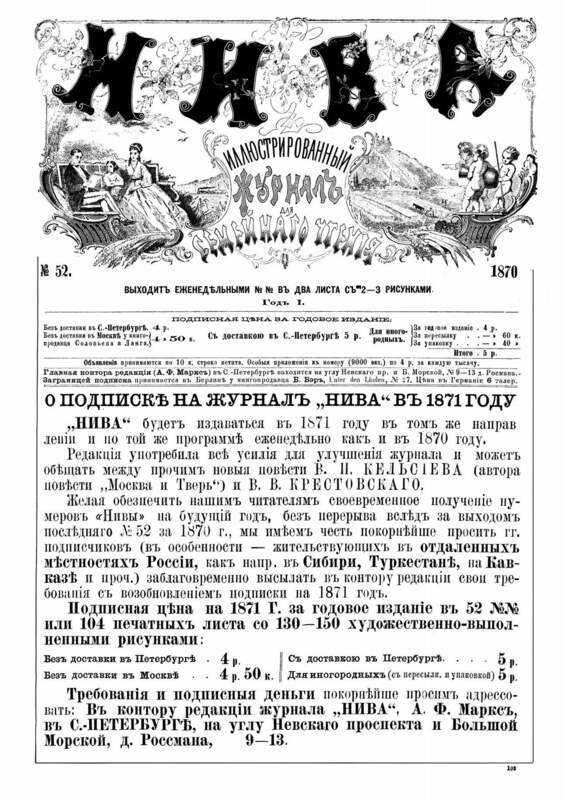 Niva was the most popular magazine in late 19th-early 20th century Russia. Niva described itself as “an illustrated weekly journal of literature, politics and modern life.” It was founded in 1870 and remained in publication until September 1918, when it was closed by the Soviet authorities. Among its authors were L.N. Tolstoy, A.P. Chekhov, M. Gorki, A. Akhmatova and many others. Illustrations and other artwork were supplied by the likes of N.N. Karazin, I.E. Grabar, L.O. Pasternak et al. Harvard Libraries own incomplete sets of Niva (HOLLIS # 006946794) in paper (Houghton Library) and on microfiche. The newly acquired digital archive (available for Harvard ID holders) contains the complete set of 49 years of Niva with more than 2,500 issues and 26,318 articles in total. A special keyboard with non-standard (pre-1918 reform) Russian orthography is added. Some one please list maximum PDF version of these kind of “Rare” and “old ” books , that will be great benefits for people like me who love histories . Dear Ebin V Thomas, thank you for your question! The PDF version is available directly from the scanned images. Please click on “Print/Save” button at the top of the page and follow the instructions in the window that will appear on your screen immediately after that. Good luck and thank you for your interest!